So, we’ve accepted black Friday is actually a 3-7 day sale, with retailers telling us on their promotions exactly how many days a day lasts in their world. Some managing to bend a 24 time frame seven fold. So, it’s not a good start, we have a sale, that starts with a lie. At least it’s now poor cousin, the January Sale, had a bit more integrity in it’s non-defined description. 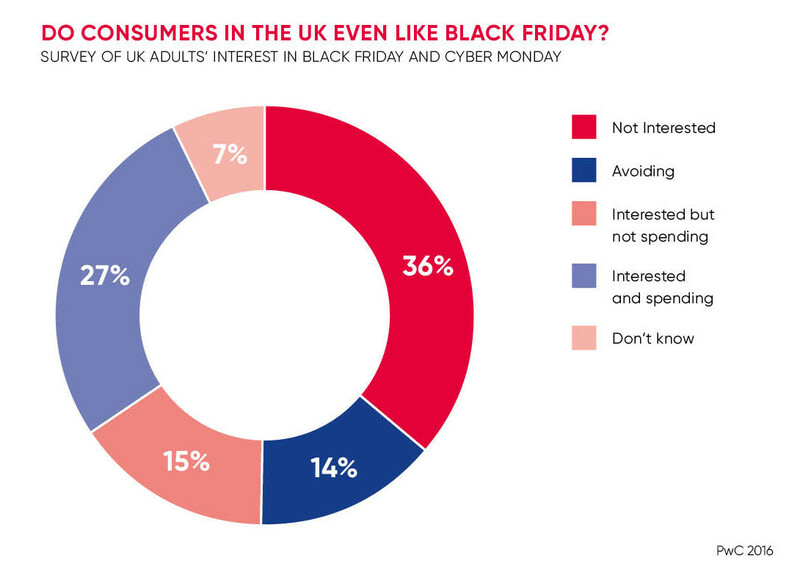 Also, what does it say when the BBC lead with an item on Black Friday from the advertising watchdog saying beware! Warning on ‘misleading’ Black Friday deals. Let’s step back for a second. Many organisations talk about ‘putting customer first’ and invest in continuously improving the quality of the experience. After all, CX is a significant contributor (more than price) for customers choosing one brand over another. However, when it comes to Black Friday it’s as if it becomes ‘all bets are off’, with compromises experienced by customers as overwhelmed companies struggle to maintain a ‘sales with the service’ standard. As any behavioural psychologist would explain better than me, when we are caught in the moment we do not always emotionally process our actions which clouds our decision making. But afterwards, when we look back we assess more clearly what we traded for that gain. And sometimes we don’t like our decision or even recognise the version of ourselves that made those decisions. We feel cheated and we feel cheap. We don’t feel that great about ourselves when that’s the outcome. We remember how that felt to ensure we can avoid it in the future. We can’t ‘feel’ a discount. It was a contributing factor to a decision but it’s not an emotion. But we can ask, ‘how did that purchase experience make me feel’? And we will remember. If the answer is that the experience was less than great due to misleading sales info, a lack of or a poor response from an over capacity customer service, the expectation by the company for us to exchange lots of contact details for future promotions getting in the way of the purchase, distracting up-sell techniques or a problem with payments going through (to name a few), then we start to challenge our decision. And with so many options, we may even decide that the retailer is not for us. This may be an unfair representation of their normal customer experience. if we caught the retailer when they were stretched. But that’s the gamble they take when you compromise CX on Black Friday. If the retailer sacrifices CX for sales at this time, they have to accept that’s exactly how the customer will see them in the future; a company you can get a bargain from if you don’t care how they treat you. So, when the black Friday fog has passed, the customer will look elsewhere. To me, and the 50% of others according to PwC, the potential of a bargain isn’t worth the risk of an impaired experience and destroying confidence and trust in brands who have worked hard to win a place in my heart over the rest of the year. It’s not just customers who step out of the rush, retailers chose to as well. So, will there be winners on the day? Of course. There will be those consumers who get the item they always wanted cheaper, there will be those who get a few extra items they’d normally ignore at a better price and there will be retailers who shift stock they haven’t done until now. But the real winners are customers who experience a quality purchase experience. And those retailers who prioritise customer experience over a sale, even on Black Friday (well done – you know who you are). Because come the consumption hangover, we will then chose which relationships we value, and it wont be decided on the transaction alone. Christopher Brooks, Lexden, The Customer Experience Practice.